Empark is owned by Arena Luxembourg Investments Sarl, which is ultimately owned by Macquarie European Infrastructure Fund 5. 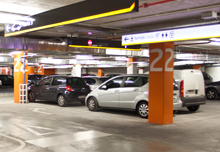 Our company is actually the leading car park concessionaire in the Iberian Peninsula by revenues and by number of car park spaces. Our company operates three business units: Off-street Concessions, On-street Concessions and Off-street Contract Management covering all areas of the parking business. The most relevant business, Off-street Concessions, accounts for 85% of the EBITDA and is primarily comprised by long term concessions with an EBITDA weighted average life of approximately 25 years. The long term duration of our concessions together with the infrastructure nature of the business results into a a highly stable business characterized by low volatility and long term cash flow visibility. Our company is really well diversified in terms of business, clients and contracts. It benefits from economies of scale and scope and operates in safe regulatory environments. On top of this, Empark's assets are placed in unique locations (city centers, hospitals, main traffic junctions, etc) and in consequence, our company has been remarkably resilient to the economic downturn undergone by South European economies.